854 Asher Cabin, black & white  - $2.00 : Red Bird Mission Crafts, Hand crafted art. 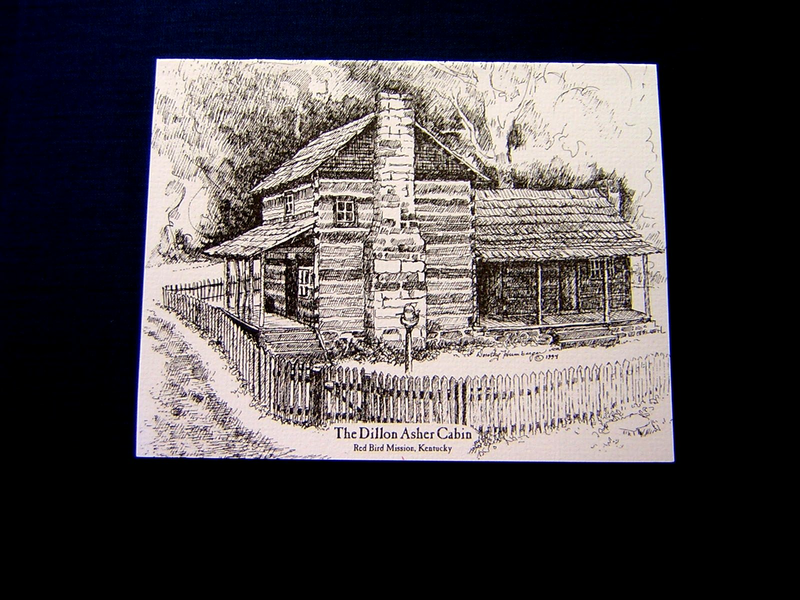 These black and white Asher Log Cabin notes were sketched by Dorothy Humbarger. The pack includes 4 notes and 4 envelopes.